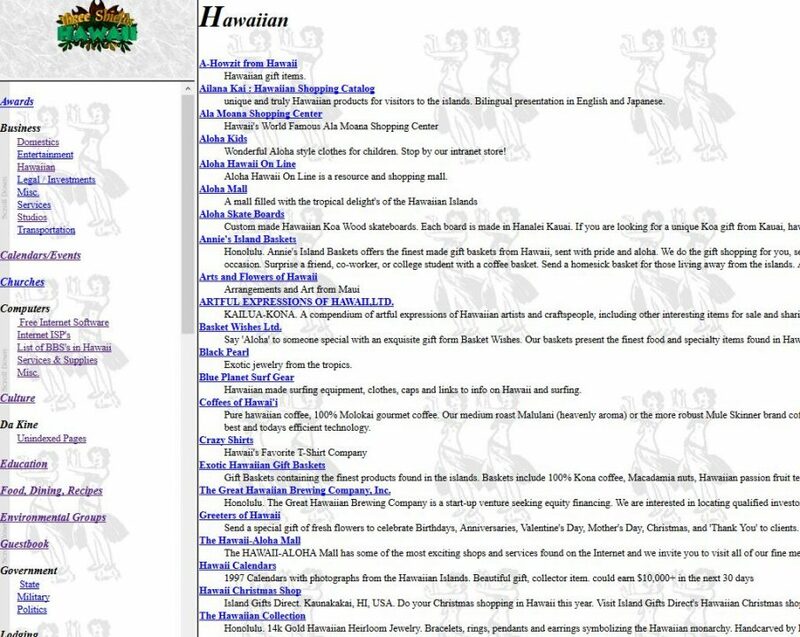 In 1995 I began construction on what would become the world’s largest Internet index site for the State of Hawai’i. This was 3 years before Google was founded. As awesome as that sounds, it took me 25 minutes to explain to my under 40 neighbor what an Index is. 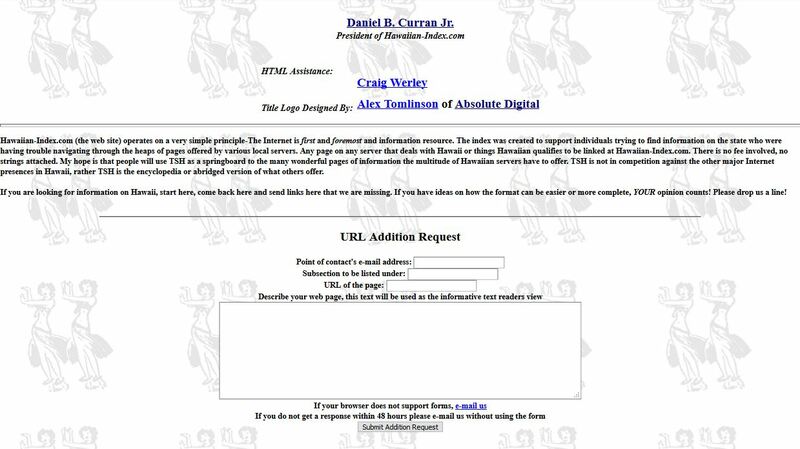 “Back in the early days of the Internet…” – Sigh. I’m “that guy” now. It was 1995, I was on shore duty for the United States Submarine Service. I got a computer from the Navy Exchange. Bootlegged a copy of Windows 95 on 20 some “A Drive” diskettes. Set up an account with Aloha.net – and locked myself in the upstairs room. I love this snapshot of time. Repeated images image in the background? AMAZING! Animated gifs? I’m a webmaster! Pow Wow HTML editor? Cant even find it in web searches today but it was amazing at the time. At the end of the day, I was writing for 2 magazines, had the world’s first and largest Hawai’ian index, all while constantly learning about this thing called “The Internet”.